Symbiote Spider-Man is the big cahuna today, and there are 8 different covers to bring home. 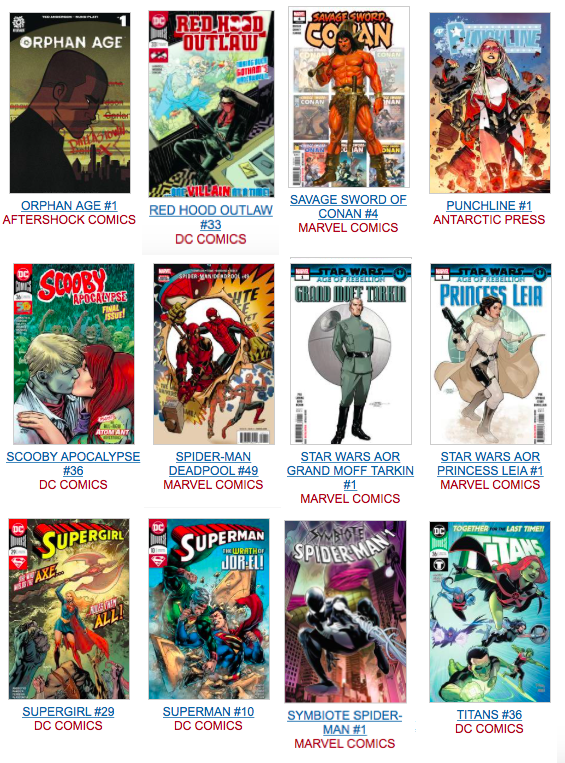 More Marvels include Avengers No Road, Amazing Spider-Man, Captain Marvel, Age of Conan Belit and Savage Sword, Spider-Man Deadpool, Star Wars Grand Moff and Princess Leia, 3 True Believers Avengers reprints, X-23 and X-force and many more. 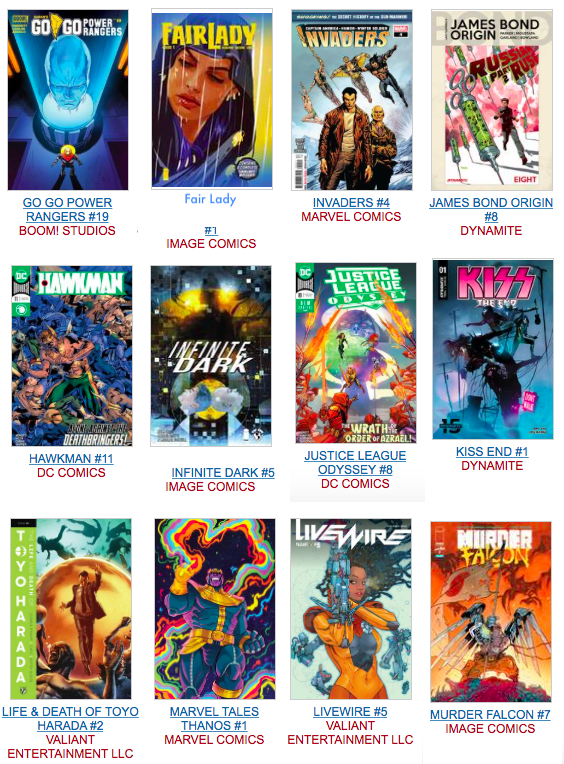 DC brought us Batman and Who Laughs, Detective 1001 (order mistake – ask at counter), Catwoman, Wonder Woman and Twins, Hawkman and Justice League Odyssey. Other pubs brought us Bettie Page, Aliens Resistance, Fair Lady, Faithless, Go Go Power Rangers, Hit-Girl, Prodigy, and Live Wire. Hundreds of Pops arrivals, new and old, including NBA stars LeBron (James) Harden to join Steph Curry on the Sports shelf. Of course, the complete list is much longer – Check it out below. 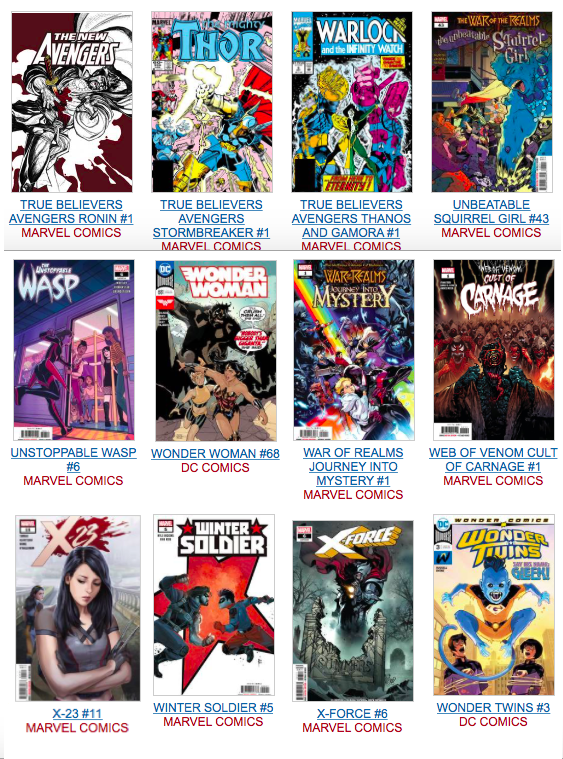 The countdown to Free Comic Book Day begins. It’s only 3.5 weeks away! 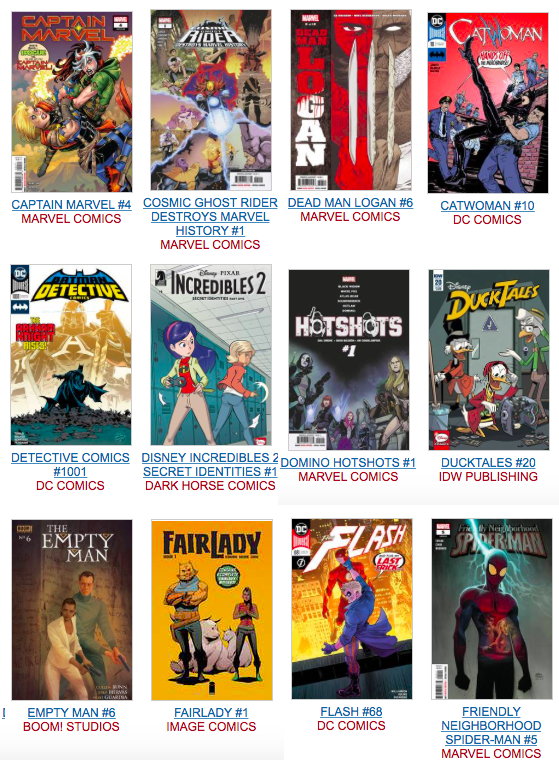 Sign in here to get an email reminder for for FCBD and ALL sales and other events. 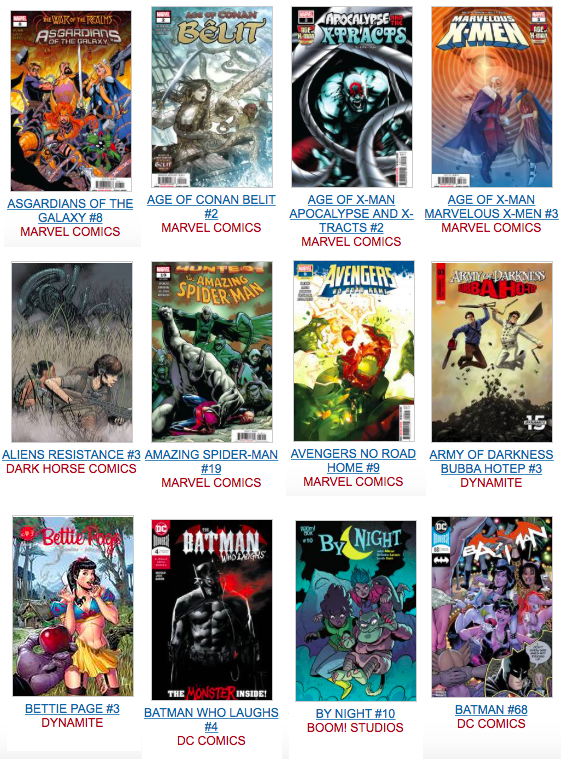 We just got the list of comics we’ll be getting and in the next few days, we’ll post it on our FCBD page. Also, you can go to fb.fantasybooksandgames.com and you’ll be taken to our Facebook page. We do expect to use the Rewards system to make similar announcements, but it pays to be covered, right? AGE OF CONAN BELIT #2 (OF 5) ISAACS VAR (1/25) $ ??? AMAZING SPIDER-MAN #19 HENRICHON VAR (1/25) $ ??? SAVAGE SWORD OF CONAN #4 GRANOV VAR (1/25) $ ??? STAR WARS AOR GRAND MOFF TARKIN #1 MOVIE VAR (1/10) $ ??? STAR WARS AOR PRINCESS LEIA #1 MOVIE VAR (1/10) $ ??? SYMBIOTE SPIDER-MAN #1 (OF 5) BRADSHAW VAR (1/25) $ ??? SYMBIOTE SPIDER-MAN #1 (OF 5) SAVIUK VAR (1/50) $ ??? SYMBIOTE SPIDER-MAN #1 ARTGERM VIRGIN VAR (1/200) $ ??? SYMBIOTE SPIDER-MAN #1 MCFARLANE HIDDEN GEM VAR (1/100) $ ?? ?